NexLynx believes service begins at home, and we strive to help those organizations who are actively doing something to help and/or further the good in the Topeka - and other - communities. Offering our office space or discounted service rates for hosting and web design, these events and organizations can focus on their missions. Promoting Topeka as an arts community, NexLynx is happy to open our doors to featured artists for the First Friday Art Walk. A showcase baseball team, the Midwest Bruins gives young athletes the opportunity to earn scholarships to play baseball at the collegiate level. Topeka's own Ronald McDonald House provides a home-away-from-home for families of seriously ill children staying at nearby hospitals. Mentoring youths with disabilities, the Kansas Youth Empowerment Academy (KYEA) strives to support young adults to be contributing members of their community. As a statewide catalyst for independent living, Statewide Independent Living Council of Kansas (SILCK) advocates on behalf of disabled Kansans to ensure they can live in the environment of their choice. Serving Lyon, Chase, Morris, and Wabaunsee Counties (Kansas), Hetlinger Developmental Services provides a locally managed system of developmental disabilities services. Located in Hutchinson (Kansas), Prairie Independent Resource Center (PILR) is a private, nonprofit, nonresidential, consumer-driven agency endeavoring to promote the full inclusion of people with disabilities into the community of their choice. A non-profit no-kill cat shelter, the Cat Association of Topeka finds homes for adoptable cats. The vision of the Topeka Association for Retarded Citizens (TARC) is that all people, including those with intellectual, developmental and related disabilities should experience life to their potential. 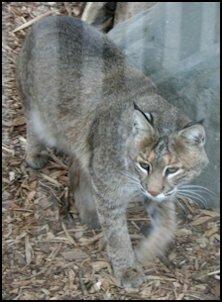 NexLynx is also the proud sponsor of Johnson the Bobcat at the Topeka Zoo.